Detroiters including Marcina Cole (center) and David Sole (l) belatedly celebrate Rev. 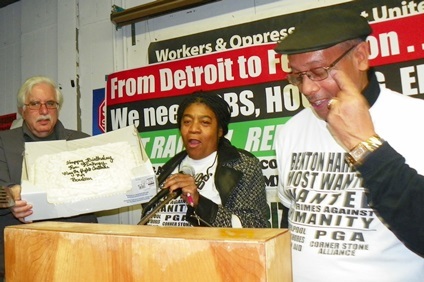 Pinkney’s birthday at rally Nov. 17, as Pinkney wipes tear away. His trial began on his birthday, Oct. 27, 2014. Marquette Branch prison, isolated in Michigan’s Upper Peninsula, a long drive the rest of the state. DETROIT – World-renowned political prisoner Rev. Edward Pinkney has been sent to Michigan’s Marquette Branch Prison, isolated in the Upper Peninsula. 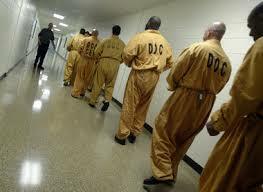 It houses maximum-security inmates at Level 5 along with minimum security Level 1 prisoners, the Level to which Rev. Pinkney has been assigned. As he awaits a hearing in St. Joseph, Michigan on four pre-sentencing motions, scheduled for Feb. 24, 2015 in front of Judge Sterling Schrock, Rev. Pinkney has sent the following up-beat message to his supporters. Rev. Pinkney, who is 66 years old, is a long-time people’s advocate, in particular for the majority Black, impoverished and disproportionately incarcerated population of tiny Benton Harbor, Michigan, the first to fall under Michigan’s hated Emergency Manager Law, Public Act 436. 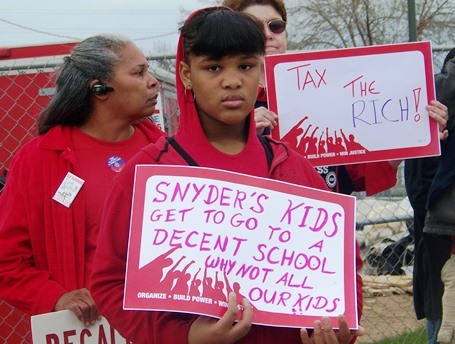 Benton Harbor child participates in protest May 7, 2011. 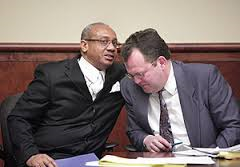 He is serving a term of 2.5 to 10 years on five counts of “forgery under the Michigan election law.” There was no concrete evidence presented during his pre-trial exam or his trial that he changed dates on five recall petitions directed against Whirlpool-backed Benton Harbor Mayor James Hightower. He was convicted by an all-white jury, despite the fact that Berrien County is 15.2 percent Black, on Oct. 3, and sentenced by Judge Schrock on Dec. 15. 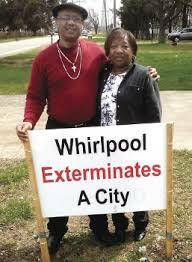 The petitions cited Hightower’s backing by the Benton Harbor-based Whirlpool Corporation, which has closed all its local plants and taken over large swaths of the city’s public land. A Michigan State Police forensics lab technician testified twice that there was no way to tell who had changed any dates. “Tell everyone they can jpay.com me as I will write them back. We must continue doing things to keep the pressure on this corrupt system. The conditions are impossible for a person to understand unless you are here — the inhuman conditions, the transportation is another money maker. This is big business. Nobody will understand what this country has become. We are living in a time where the people must take control or they will crush us. Keep the struggle alive. Who would believe the prison system is a money maker. The prison system transportation system is how the prison is stealing money from the people, plus the food is not really food. The clothes are nothing but summer clothing, the shoes are rubber and the sox you must wear three pairs as if they were one. (VOD: Marquette prisoners demonstrated against MDOC food, now provided by the notorious Aramark Corporation, on Nov. 12, 2014. 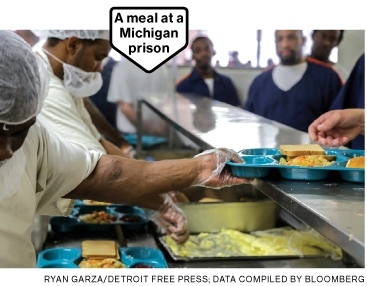 Maggots have been found in food at a number of MDOC facilities. See Free Press story links below). JPay allows Michigan prisoners to send and receive emails and photos for a cost of 1 cent per page. It is also used to send money to prisoners to allow them to purchase food and health products within the prison. To sign up for JPay to communicate with Rev. Pinkney, go to https://www.jpay.com/login.aspx. New users must first input the prisoner’s ID number. Rev. Pinkney’s number is 294671, then enter information regarding their email addresses and method of payment. Rev. Pinkney can also receive letters at the following address: Rev. Edward Pinkney, #294671, 1960 U.S. Hwy. 41 South Marquette, MI 49855. Motions filed Nov. 11, 2014, well prior to Pinkney’s sentencing, are scheduled to be heard Tues. Feb. 24, 2015 at 1 p.m. in the Berrien County courthouse, at 811 Port Street, St. Joseph, MI 49085. Rev. Pinkney’s defense committee is asking his supporters to turn out en masse. Rev. Pinkney himself should be present at the hearing, where he will be represented by Attorney Tat Parish, according to his appeals attorney Tim Holloway. According to state records, Holloway earlier filed appellate motions to quash the charges and to stay any verdict pending appeal, after Rev. Pinkney’s preliminary exam. Both motions were denied at the Appeals and Supreme Court levels. If Judge Schrock denies the new motions, an appeal should be filed with the State Court of Appeals. The hearing was originally scheduled for Jan. 15, 2015, and should actually have been held prior to Rev. Pinkney’s sentencing. It is clear that Judge Schrock is deliberately delaying this process. The motions include one for a directed verdict, which calls on the judge to overturn the jury decision and find that there was no evidence to convict him, a motion for a new trial based on the violation of Rev. Pinkney’s right to impartial jurors, and a motion for bond pending appeal. Among other issues, the motions cite improper charging in the case, based on an Oct. 23, 21o4 Court of Appeals decision in People v. Hall, which found that election petition violations are misdemeanors, not felonies, and the presence of juror Gail Freehling on the panel that convicted Rev. Pinkney. Freehling is well-acquainted with the County Clerk, Sharon Tyler, a key witness, as well as other parties seeking Pinkney’s conviction, and did not disclose those facts during voir dire. Pinkney supporter Cornell Squires said, “The fact that they sent Rev. 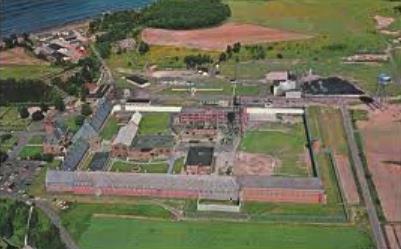 Pinkney all the way up to Marquette Prison just shows how vicious this system is.” Pinkney has been assigned a Level One clearance, the lowest-security designation, while Marquette is a maximum security prison. Rev. Pinkney and wife Dorothy in earlier photo. Aside from the travel distance to Marquette, many family members of those incarcerated in Michigan’s Upper Peninsula prisons complain that their loved ones are subjected to blatantly racist treatment by guards, and even torture, largely because of their isolation. Another Pinkney supporter runs a website at https://freepinkney.wordpress.com/ which includes extensive information on his case. Pinkney supporter Dan Buhrdorf of Lincoln, Nebraska, said he was able to raise Rev. Pinkney’s situation on the Alex Jones Show, which has millions of listeners, and encouraged others to undertake similar efforts. That show can be heard at https://soundcloud.com/worldausterityreport/buhrdorf-drops-pinkney-on-jones. The website for Rev. Pinkney’s own organization, Black Autonomy Network of Community Organizations (BANCO), is at http://www.bhbanco.org/. It includes a PayPal donation button to send badly needed funds for Pinkney’s legal defense, or they can be mailed to BANCO, 1940 Union Avenue, Benton Harbor, Michigan 49022.